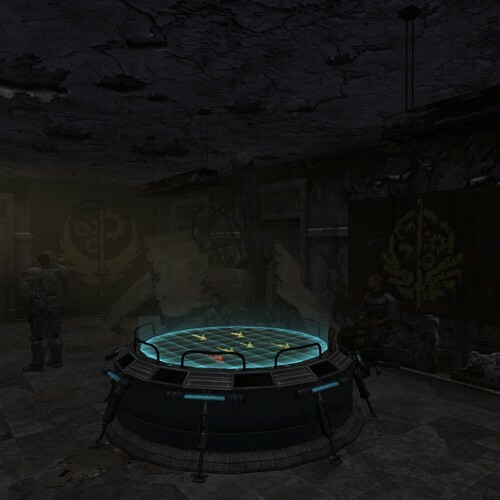 The Deterrent is a medium sized quest mod for Fallout: New Vegas which includes a small new worldspace and several new interiors and dungeons. It adds around two hours of gameplay. 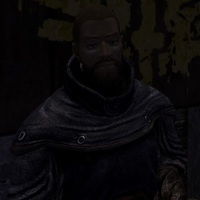 The mod is already released and currently has voice acting. I have rewritten virtually all the dialogue and I am looking to replace my current voice actors with better ones. This is a non-paid postion on a non-commerical project. I am in need of several voice actors to fill certain roles in my project. 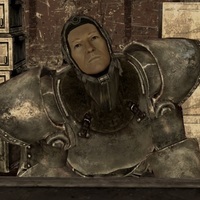 Paladin Jameson is an experienced soldier of the Brotherhood Of Steel. He has a seed of doubt in his mind about the legitimacy of the Brotherhood's goals. Sounds careful and cautious. Has to seem mysterious too. I don't need a particular tone of voice. Anything could work as long as your lines sound convincing. "That's why there's a brotherhood chapter stationed there. Frankly, I'm scared of what we might be walking into." "You merc types love to hear about the pay first so we'll start with that. Two thousand caps on completion of the job." "A raider might kill a civilian. That's one casualty. 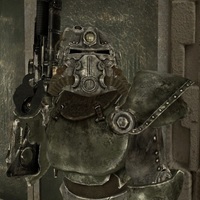 A raider might get a set of power armor. That's several casualties. That's what I tell myself anyway. Now if you're done asking questions, can we go?" Calm and collected soldier. Idealistic. He has a mind for strategy. He fights for what he believes in. Dawn often has disagreements with his superiors over these ideals. He was rapidly promoted up the chain of command because of battlefield casualties. Many believe he is fit to lead the chapter instead of Elder Jackson. 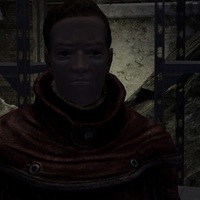 "So the Brotherhood's resorted to getting the help of outsiders. Can't say I'm surprised. We're a dying breed." "I'm a soldier and I believe in what I fight for. How many people can say that?" "We'll be a diversion by attacking the front of the power plant. We'll be the anvil and you be the hammer." 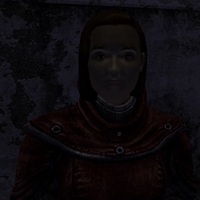 A very intelligent scribe and a pupil of one of the brightest minds of the post apocalyptic age. He is swamped with work and would prefer not to converse. "Who the hell are you? Can't you see I'm busy? If you're not here to help then please just leave." "Well, maybe you're not an idiot after all. The power plant was owned by Poseidon Energy. That was already a red flag. Then we found the sandstorm tech, another red flag. And then we found something dangerous. Really dangerous." "We keep records of technology, the dead and develop weapons using the tech we've gathered. That's the short version. If I were to give you the long version we'd be here all day... And we don't have all day." The Elder of the local chapter. New to the position but an experienced soldier. Doesn't like the added pressure of having the whole chapter relying on him. Patton-esque. The stereotypical gung-ho general. "You're lucky I personally know Paladin Jameson outsider. That man is a Brotherhood legend. If it wasn't for him you'd be a pile of ash right now." "I guess you responded to that radio broadcast we sent out. You must have thought it was a distress signal." "It musn't have been clear. It was a warning to stay away. There must be a jammer up in Sunstorm. Damn muties." Sounds scared and often paranoid. A little bit of a crazy touch would be nice here. "I never knew Jackson cared. (Sarcastic) How nice of him. About the job though, its no secret that we're running low on ammunition around here." "Keep this to yourself, I wish he was Elder. If it wasn't for Jackson, we'd be far away from this hellhole. He's gonna get us all killed one day unless Dawn does something." "I'm gonna need you to go into the city centre and collect some weapons for us. We've tried before but that quickly turned into a shitshow." 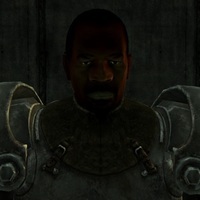 This is a generic Brotherhood Of Steel character who the player will see patrolling. 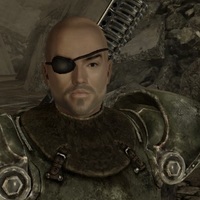 This character behaves in the same way as a traditional NCR troop. I would like both a male and a female version. This will involve generic lines and virtually anyone can play this part. No precise tone of voice is required. "I hope Mayes is alright." "Sunstorm can't fall into the wrong hands." "These super mutants are savage." A generic scientist/tinkerer role. I would like both a male and a female version. I don't need a particular tone of voice. As long as you can deliver the lines convincingly. "Sorry, I'm busy at the moment"
"Just gotta fix these laser rifles by the end of the day"